Steve Gibson is a Canadian media artist, curator, and theorist. He completed his Ph.D. at SUNY Buffalo, where he studied music composition with Louis Andriessen. He also completed postdoctoral research in media and technology with Arthur Kroker at Concordia University in Montréal. He currently serves as Reader in Interactive Media Design at Northumbria University, Newcastle, UK. He was curator for the Media Art event Interactive Futures from 2002-07. Simultaneously deeply involved with technology and deeply suspicious of its effects, Gibson’s work celebrates both the liberation and paranoia of techno-fetishism. Influenced by a diverse body of art and popular movements his work fuses electronica, immersive art, game art, montage and post-minimalism. He works in a range of media, from live electronic music to virtual reality installation. 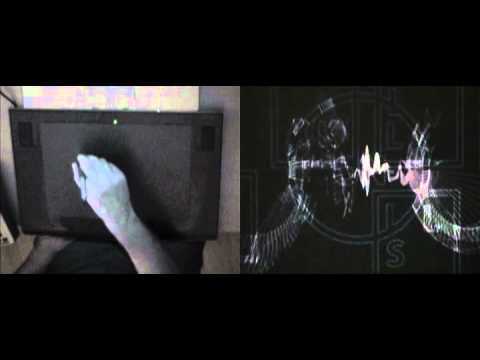 Steve Gibson’s installations and compositions have been performed in such venues as: Ars Electronica; the Whitney Museum of American Art; Banff Centre for the Arts; Digital Art Weeks; the European Media Arts Festival; ISEA; Interface3, Hamburg; the San Francisco Art Institute; 4 & 6CyberConf. His work has been published internationally by St. Martin’s Press (US), The MIT Press, New World Perspectives (Canada), Turnaround Productions (UK), Future Publications (UK), Urra Apogeo (Italy), and Passagen Verlag (Austria). He recently co-edited a volume entitled Transdisciplinary Digital Art which was published by Springer (Germany) in Spring 2008.